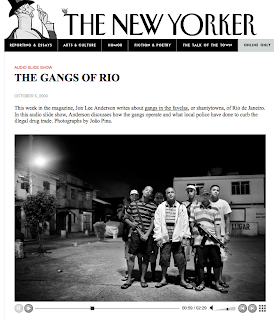 John Hagedorn, associate professor of criminal justice at the University of Illinois, Chicago, has studied gang formation in three major world cities with gangs that have been in operation for decades: Chicago, Rio de Janeiro, and Capetown. Through research published in A World of Gangs: Armed Young Men and Gangsta Culture, he discovers that some gangs have institutionalized as a strategy to confront a hopeless cycle of poverty, racism, and oppression. His book discusses how such gangs have persisted around the world and proposes ways gangs might be encouraged to overcome their violent tendencies. Hagedorn discussed some of his research on Book TV earlier this year.